These six must-have items are the building blocks for the rest of your collection to come. Within each category, make sure you to select staples that reflect your personality. With the right jewelry to complement your outfits, you will really sparkle. Diamond Studs – Diamond earrings will complement everything you own and work great when added to a busy necklace or bracelet. Bangle Bracelets – Bangles are a great way to express your personality as you can choose one delicate bracelet or stack several to create your own unique look. Bangles are available in a variety of widths and metals giving you endless options. Pendant Necklace – A pendant can be a dainty charm, locket or gemstone and goes great with anything from casual denim to a business suit. Pendants often have sentimental meaning so you can make your jewelry uniquely yours. Large Gemstone Ring – Also known as a cocktail ring, this fun accessory adds a pop of color without a huge cost. It also allows you to show off your personal style. Unsure of what color gem to select? Your birthstone is always a great choice. Pearls – Pearls are one of the most iconic and classic looks in jewelry. You can choose from a simple pearl stud earring to a single strand necklace. Another fun choice is an opera-length necklace that can be wrapped and layered for multiple looks, and can even be worn as a bracelet. Classic Watch – In the digital age, many people use a smart watch on a daily basis, but you can’t go wrong with an elegant watch for more special occasions. Choosing a two-toned watch with clean lines and a simple face is a smart choice as it will go with anything. What do you notice and love on other people? Determine if you gravitate toward classic or contemporary styles. Do you prefer silver or gold? What do you get compliments on? For example, what color gems, metal types or styles suit you best? Will this fit my lifestyle? Consider your job, hobbies and activities as you will want to make the most of your purchase on a daily basis. If it doesn’t fit your everyday life you will likely pass it over when preparing for day. The idea of building a wardrobe is to wear these staples as much as possible. 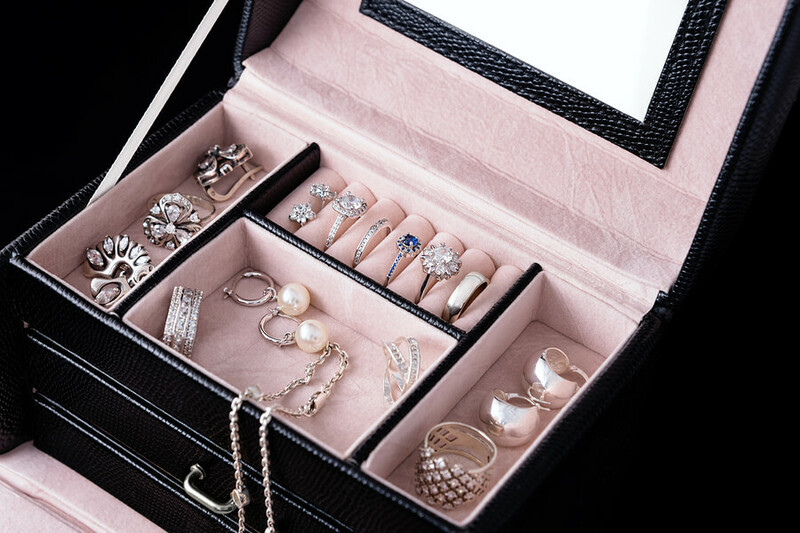 Once your basics have found their new home in your jewelry box, consider adding some great next-step pieces. Try finding a great pair of hoops, which come in every size, shape and metal. A statement necklace and large evening earrings are important for those special occasions when you want to make a bold choice. And add to your bracelet collection with a large cuff that can be worn alone. The idea of choosing your basic pieces should be a fun experience. Select items that will last you for years and you won’t grow tired of. These precious metals and gemstones will offer quality unmatched by fashion jewelry. And, when it’s time to consider insuring these fine staples, contact us at Lavalier for a personalized jewelry quote. You’re making an investment and we want to protect your treasures. Building Your Jewelry Wardrobe. www.jewelrywise.com. (accessed Oct 31, 2018). Jewelry 101: How to build a basic jewelry wardrobe. www.mullenjewelers.com. (accessed Oct 31, 2018).